The Assessee claims that he has invested the funds within 6 months and therefore is entitled for exemption under Section 54EC. Assessing Officer took the view that the Assessee could have made the investment only upto Rs.50,00,000/- and he could have therefore got exemption under Section 54EC only for a sum of Rs.50,00,000/- and accordingly, he allowed exemption for Rs.50,00,000/- and made the addition of Rs.50,00,000/-. Even in the case of CIT v. Vegetable Products Ltd.  88 ITR 192 the Hon’ble Supreme Court has taken view that if there are two views possible, the view favourable to the subject should be taken. In view of the aforesaid discussion, we are of the view that no interference is called for in the order of CIT(A) and CIT(A) has rightly deleted the addition made by the Assessing Officer. We, accordingly, dismiss the appeal filed by the Revenue. 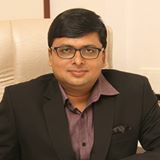 Provisions of Sec 54C are categorically clear and on plain reading of the said provisions nobody can raise the dispute that an assesses is entitled to investment and exemption of Rs 50 lacs in each financial year if such investments are within the specified period.However the Assessing Officers out of the force of the habit deny the due benefit to the asses sees and compel them to stand in the unending queue of the avoidable litigation.The ITAT in its wisdom should now start awarding the cost to the asses sees and recover the cost from the erring assessing officers. MAY WISE SENSES NOW PREVAIL UPON THE INDIAN BUREAUCRATS AND HELP THE NATION TO GROW IN REAL SENSE.